If you’re an aspiring Apple Mac gamer, but are frustrated by the server lack of Triple-A titles available compared to any console or the PC, then today might just be a red-letter day. NVIDIA, architects of all things graphics-related, are launching the EU Beta of GeForce NOW for Mac, potentially revolutionising your life in videogames. GeForce NOW is a fairly simple idea: what if you could rent out a high performance gaming PC, remotely, to play games from? How about if they’re your games, on your Steam account? 2) Mac OS users have been unable to play the vast majority of premium videogames for years due to few ports being made to their platform. Through GeForce NOW NVIDIA are essentially setting up a series of high-performance gaming PCs, equipped with GeForce GTX 1080 GPUs, for you to rent and use remotely. Display outputs are streamed as a video feed at a resolution appropriate for your local system hardware (generally, the native resolution of your system’s display), whilst HID inputs on your keyboard and mouse are sent back over the internet to the remote PC. Critically you're not renting or buying games from NVIDIA; you control the games installed on that remote PC, each game being from your own digital distribution account (e.g. Steam, Battle.net etc.). The service builds on local game streaming technology introduced into GeForce Experience and the SHIELD Android hardware. In this instance however NVIDIA has ultimate control over the streaming PC and its hardware and software configuration, allowing optimisations to be made quickly and invisibly to the end-user. It’s certainly an intriguing idea, especially if it sidesteps buying an expensive gaming laptop or gives you access to games you wouldn’t normally ever consider playing. For long periods of time Apple Macs have been a mainstay of the professional creative industries, but as their light grew in this segment it diminished in another core demographic: gaming. With few notable exceptions Triple-A games are not developed to be natively compatible with Apple’s OS, possibly a bridge too far given the need to port to three consoles and the Windows PC. Of the major publishers, only Blizzard have tended to develop for PC and MacOS as a matter of course. An option has been so-called ‘Bootcamping’. Now officially supported, it allows you to install Windows on Apple Mac hardware, but doesn’t alleviate the underlying hardware’s shortcomings. In the future GPU enclosures and the Thunderbolt 3 PCI-Express interconnect might be an option, but it will be an expensive one at that. A streamed approach however could be ideal for MacOS. Video decoding and streaming on this hardware has long been a trivial matter, with hardware resources devoted to making this as power-efficient as possible. Peripherals manufacturers also cater to MacOS, with wide-spread compatibility for even gaming-grade keyboards and mice from the likes of Logitech. In many respects Mac users are an untapped market with plenty of growth potential, and so it’s no wonder NVIDIA would look to them first as a testing ground. In the fullness of time GeForce NOW is planned to roll out to Windows, serving a similar need for ultrathins and other underpowered laptops. GeForce NOW for Mac entered Early Access in March of this year, and today launches as a formal Beta program in the EU. You can sign up to the Mac Beta now at https://www.nvidia.co.uk/geforce/products/geforce-now/mac-pc/, and register your interest in the PC beta at https://www.nvidia.co.uk/geforce/products/geforce-now/. There's no set ETA on the Beta's conclusion either, so at the very least you should expect to have access into 2018. List of supported Mac products. A comprehensive range of iMac’s and MacBooks (including Pro and Air models) are supported, including many launched prior to 2010. Requirements are agnostic with respect to graphics hardware too, supporting NVIDIA, Intel and AMD components where present. In terms of keyboard and mice, Logitech and Razer have been highlighted as the best options right now, far superior to the one-button Apple mice for gaming specifically. Game Pad support is a little more spotty; the XBOX 360 controller is not currently officially compatible and only useable through 3rd party apps which aren’t officially supported by NVIDIA. A selection of Logitech GamePads are however through DirectInput Mode, as well as the Sony DualShock4. For an optimum experience NVIDIA recommends an Internet connection of 25Mbps downstream, and bearing in mind that you’re essentially streaming low-latency 1080p video you will want to make sure that your connection is sufficiently stable. Data Caps are likely to play havoc with this service, so be aware that it will likely sap monthly allowances if your ISP restricts you in that fashion. Upstream speeds by contrast shouldn’t be a factor as only minimal data is sent to the remote server. Servers are located in London and Frankfurt, and more may be rolled out based on future demand. GeForce NOW currently supports a little over 100 games across Steam and Battle.net, with more scheduled for later this year. Currently Origin and Uplay are not support, so across the board compatibility can't be claimed as yet. Videogames and other experience are being released at a breakneck speed on Steam, so a certain amount of curation will be required as NVIDIA chooses which ones to support and which to steer clear of. Many games will be automatically optimised for both the GTX 1080 remote hardware and native screen resolution of your Mac display, but it's also possible to adjust these settings if optimisations are not available. That said, the hardware should be well capable of everything you could throw at it. 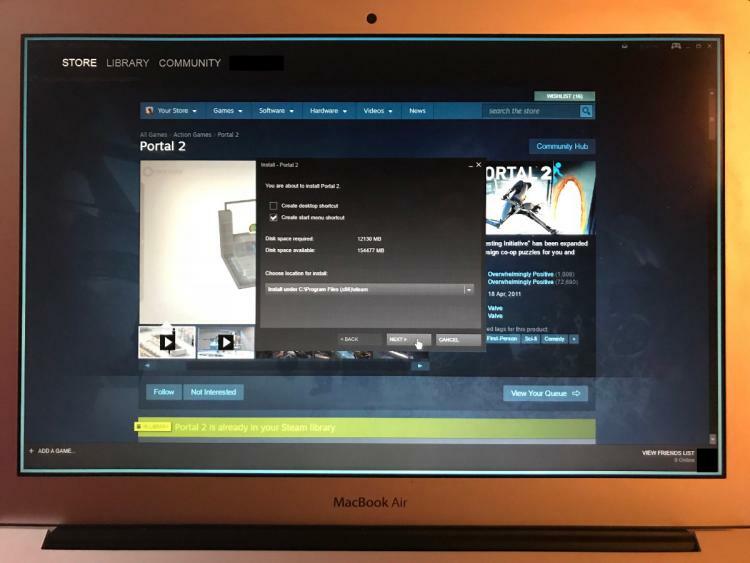 We were lucky enough to have a hands on at an NVIDIA event last week, then a subsequent short at-home trial with the GeForce NOW for Mac Beta. We should state up-front that neither can be deemed conclusive testing, and so we present this very much as a first impressions statement. The behind closed doors event had three MacBook systems set-up running Rise of the Tomb Raider, PlayerUnknown’s Battlegrounds (PUBG) and Fortnite respectively. Although all clearly Macs without discrete external graphics, we had no way of assessing their connection to the remote GeForce NOW London server. I opted for Rise of the Tomb Raider, which I will note was the Steam version of the game. Immediately I was struck by the excellent image quality. Apple displays are generally exceptionally good, and at no point did it seem from the image alone to be heavily compressed or pixelated in a manner that would clearly indicate it was being streamed remotely. Frankly, the in-game settings were superior to those I used when I played it on my GTX 970 'gaming PC' last year. That certainly was humbling. RotTR isn’t the most twitch-centric shooter in the world, relying instead on platforming skills and choose your own battles. In this respect my experience on the Mac was no different to the PC; latency was effectively lost amongst other aspects such as animations which naturally mask it. I was also able to watch other members of the press playing the other two games on show. Both express satisfaction with their experiences in these more twitch-oriented games, with one who has extensive experience in competitive CounterStrike noting only small amounts of perceptible latency. I believe that we all came away generally feeling positive about our time with GeForce NOW on Mac, and would heartily recommend that interested Mac users give it a bash. Upon access to the Beta getting started is simple. You will need to create an NVIDIA Account (if you don’t already have one for GeForce Experience) to redeem your Beta code, after which you can download the GeForce NOW For Mac installer. Once installed, you will be prompted to test your internet connection to their servers, giving you a general idea of whether you’ll be able to connect without much hassle. Our connection to the servers in London had a hop of 16ms, so assuming zero server-side latency we’d expect a delay of roughly two frames (32ms) at 60fps. That’s far from ideal for professional reflex-reliant gaming, but suitable for more casual players and titles which aren’t so dependent on reaction time. Our at-home experience was very similar to that we had in London. Here we played a bit of Destiny 2, which uses Battle.net rather than Steam, and some Portal, and once again Latency was almost imperceptible. We should note however that there were a few halts and stutters, but it’s not clear whether that was down to the streaming experience or WiFi not well set-up for high bandwidth low latency video. It certainly warrants further investigation, but at no point nullified our belief that the service was well worth testing. As promised, game installation is almost instantaneous. Clearly NVIDIA have a library of games stored remotely to install on these systems, drastically reducing the time it takes to copy the games across where at home you might expect to spend hours waiting to download tens of gigabytes of data. 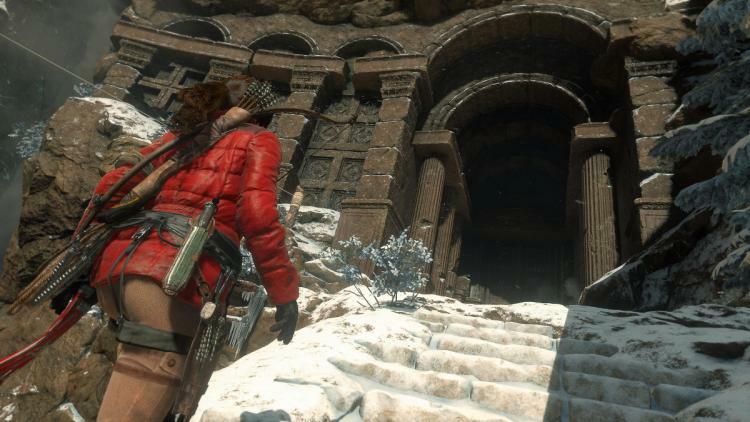 Despite this no-doubt fast storage backbone to the service, game load times are still as troublesome as ever, especially in the case of the notoriously slow Rise of the Tomb Raider. Two aspects to the service really leap out as sticking points, although they will be dependent on your own preferences. The first, and perhaps more minor of the two, is lack of support for 1st-party in-game features such as voice comms. Discord and Skype provide plenty of 3rd party tools to allow in-game communication, but you’ll not be able to use (for instance) PUGB in-game voice or World of Warcraft’s voice chat. This issue might extend to games which use features such as pop-out web browsers and text chat tools, but these are few and far between. The second is the very real concern that you are implicitly communicating your Steam, Battle.net and other log-in details through NVIDIA servers. NVIDIA themselves are highly, highly unlikely to log those details themselves (user blow-back would be horrific) but the question remains whether you trust them or any other 3rd party company with these details. Irrespective of whether you do, we would strongly recommend 2-factor authentication for all appropriate accounts. When announced, GeForce NOW was carrying a price-tag of $25 for each $20 hours of game play. This price was, to put it mildly, not particularly well received. As a result NVIDIA have taken the feedback on board and are reassessing how the service will be financed. So, what does this mean for the Beta? For its duration, the Beta will be absolutely free as NVIDIA just want to get as many users involved in the process as possible without putting up needless barriers to entry. If you’re a Mac gamer you may already have a number of Steam titles you can now also try remotely, and Steam Sales of older games you may have missed out on are a pretty regular occurrence. Because any purchase you make on Steam continues to be yours and your alone, the risk here is low indeed. So we urge you to give it a try. NVIDIA are continuing to roll out additional support for games on Steam and Battle.net over the coming months, with the aim of compatibility for well over the current 100 by the end of the year. Each game will need to be vetted to ensure that it doesn’t have something silly embedded like a virus payload, and also optimised for 1080p gaming with the GeForce NOW hardware, explaining the delay. Hopefully the GeForce NOW team will be open to taking suggestions from users for titles they should bring to the service in the future. As mentioned, GeForce NOW will also be available on Windows in the not too distant future. We also hope that they will be able to bring other digital distribution platforms such as EA’s Origin and UPlay to the service, further expanding the library of games Mac users can enjoy just as much as their Windows PC brethren. It’s still early days for GeForce NOW, but the technology is promising and the service is a much-needed one for Mac users. External threats such as ISP data caps, or wider hardware options for systems like external graphics enclosures, could put pay to NVIDIA’s ambition; however this effort does seem like a worthy one. Pricing once it leaves Beta will be key though, and difficult to reconcile for normally frugal gamers. More information on GeForce NOW, including Beta registration, can be found at https://www.nvidia.co.uk/geforce/products/geforce-now/mac-pc/.